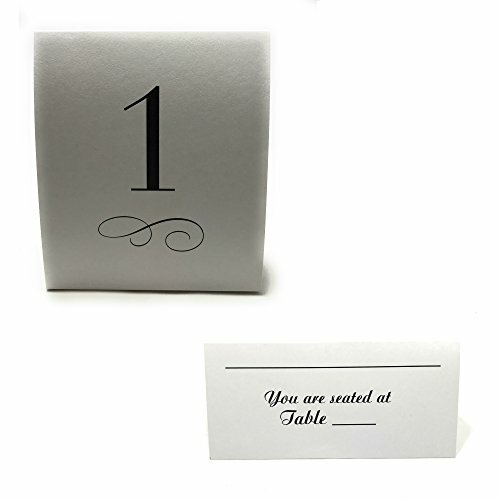 Help guests find their seats with these chic and simple seating table cards and table number tent signs. Both feature a black font on white cards that is perfect to match any wedding, dinner, banquet or party theme. If you have any questions about this product by WorldPrime, contact us by completing and submitting the form below. If you are looking for a specif part number, please include it with your message.